This is my all time personal favorite necklace. 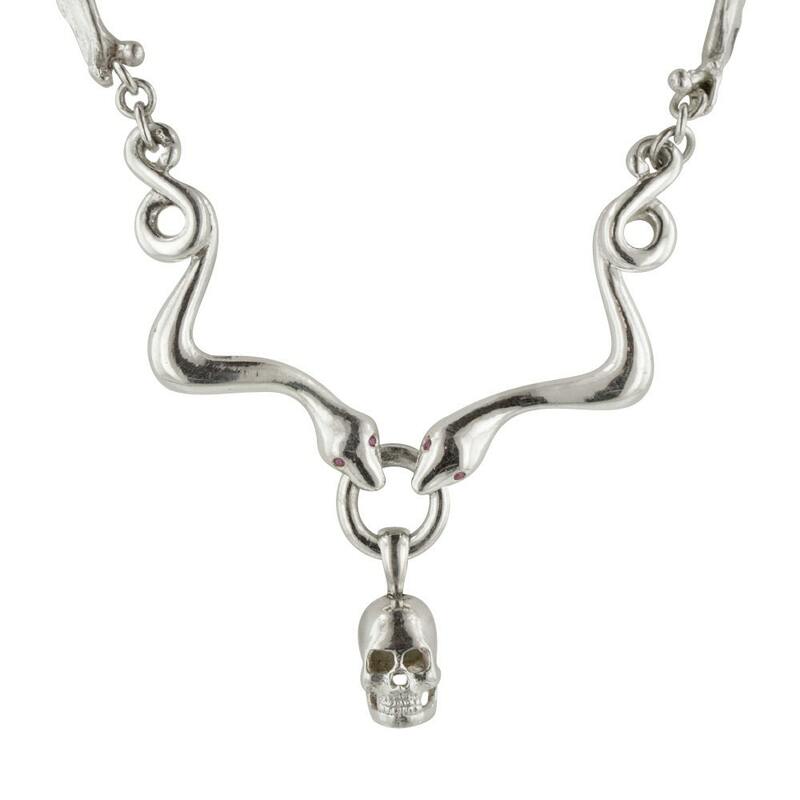 I carved the snakes and skulls in wax and cast them in sterling silver. The snakes are held to the central ring by their fangs so all pieces move freely. I have set some small rubies in their eyes. 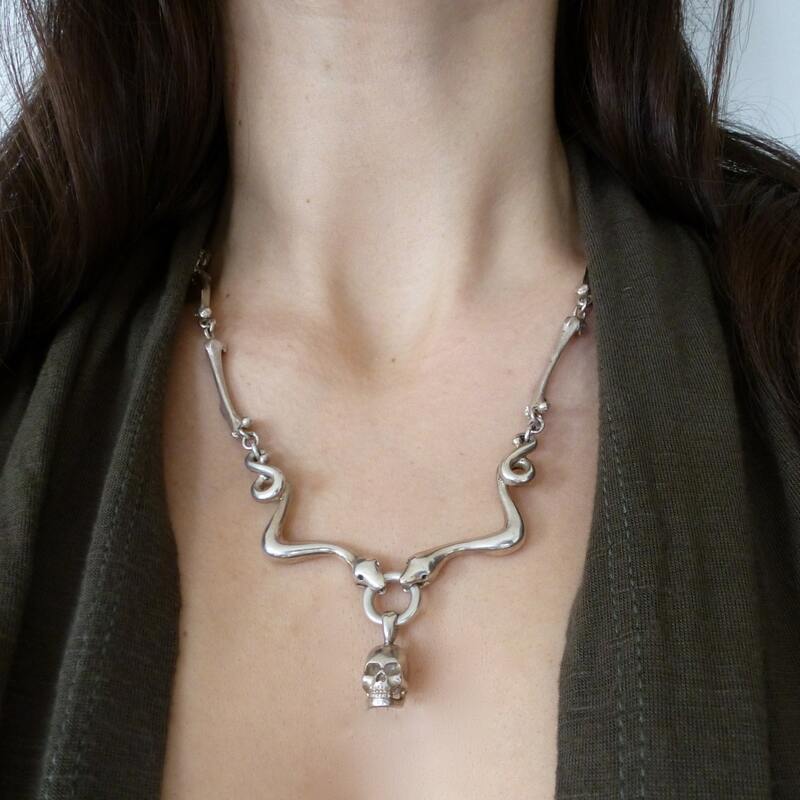 The rest of the necklace is made of 10 small silver bones that I cast from a real bone. Each bone is securely linked and soldered. The clasp is a heavy duty lock. 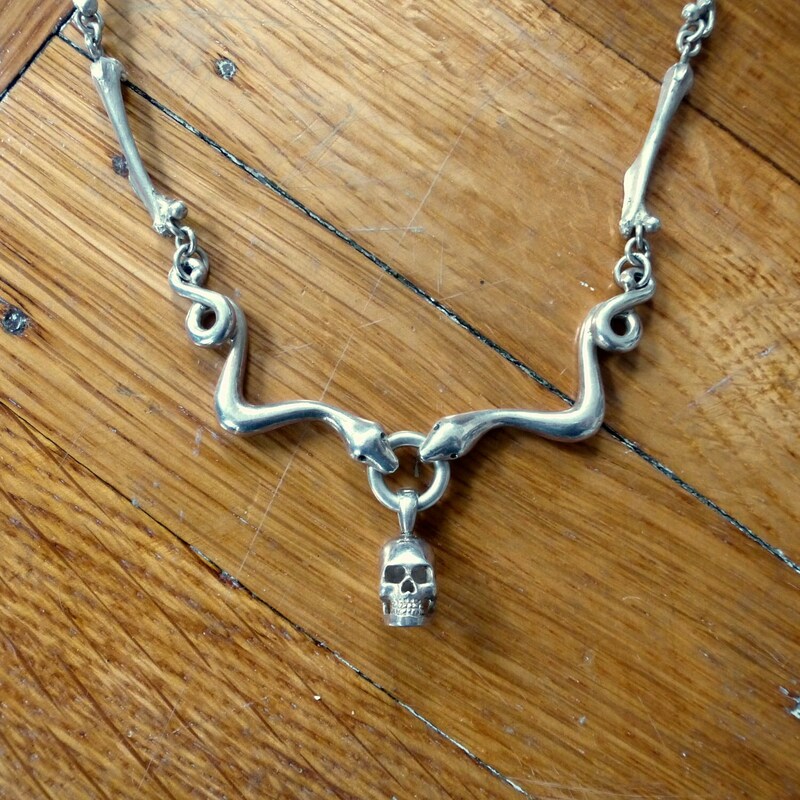 This necklace took forever to make and it is seriously badass. The total length is 20 inches. Additional length is possible. For reference the skull is 12mm tall. 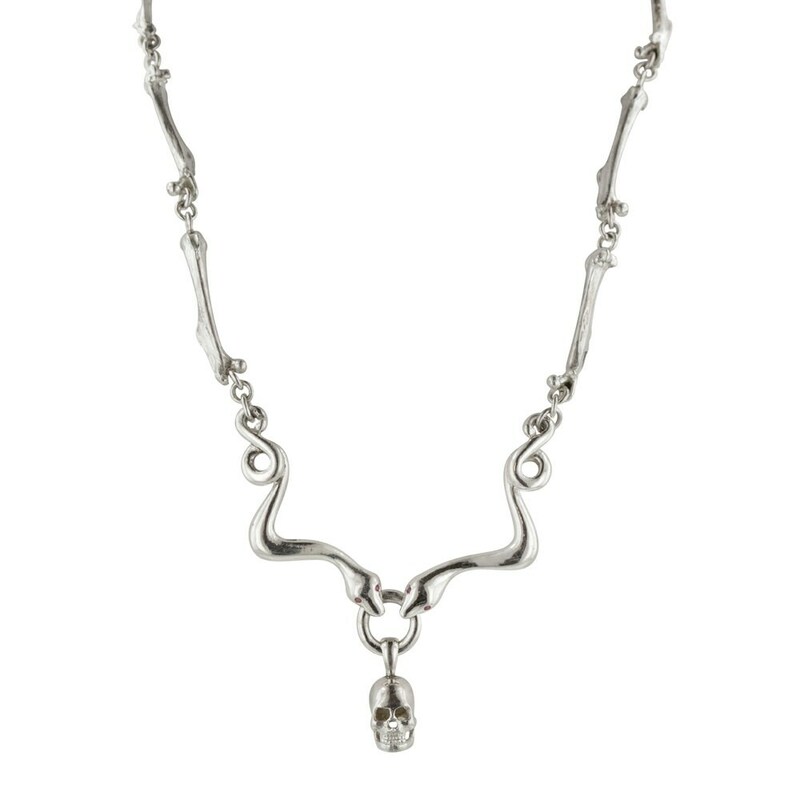 Total weight is 50g solid sterling silver.